After last month’s Mercury retrograde, you’ll start to feel the pace increase. Now that Mercury is moving forward once again, and the Sun is in the action oriented sign Aries, you may feel like pushing ahead right away. But do wait a little bit. From April 1 through 5, the Moon will be at the close of her monthly cycle as she moves through the balsamic Moon phase. That’s the quietest, most dreamy and mysterious of all the Moon’s many phases – and the best for meditation and introspection. If you hold off until the new Moon of April 5, you’ll find that tasks and projects flow more easily. That’s the time to press forward into all the new beginnings you have in mind. With the Sun moving through Aries, you’ve reached your annual review period. As soon as the Sun enters Aries every year, that’s your signal to look back to all that’s happened since your last birthday and reflect on progress, areas needing improvement, and new wishes for the year that starts with your birthday. This period also will focus your attention on spirituality and health. If you meditate, do more of it this month; if you don’t, consider learning how and commit to a regular practice. If you want to overcome a health condition (either physical or psychological), this period is a great one for extra rest, solitude, and introspection to support healing. Mark your calendar for April 5 to start anything you wish related to your inner life and overall health. If you need help, contact your therapist or physician (or find a new one if necessary). 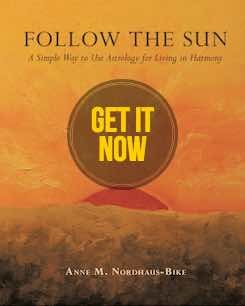 On April 20, the Sun leaves Aries for Taurus. That means birthday time! Make plans to celebrate the new year that will start with your birthday and set at least one fun goal for this coming year. The month of Taurus offers you extra mojo every year to refine your personality as well as personal style. Time for a makeover and an inner upgrade so your personality reflects the evolving you. Also, this time of year generally refreshes you by increasing vitality. So it’s a good time to enjoy being more active by getting outdoors in nature (one of your favorite pastimes!). It’s also excellent for trying a new health approach to improve nutrition or fitness. Get back to the gym or find a new one you like better. Try a new class to improve balance and coordination or enjoy a new sport. Make an appointment with your health practitioner or a nutrition expert. Also, any project highly important to you personally can prosper at this time. The full Moon on April 19 will be the second in a row in your sister sign, Libra, which is ruled by beautiful Venus (who also rules Taurus). Use clues from that period to guide you this time. You may learn important news related to your job, health, fitness, or a pet. You also may have an “aha!” moment related to your daily routine and how well you manage time or balance work and home life. Pay attention to any information revealed during this time. 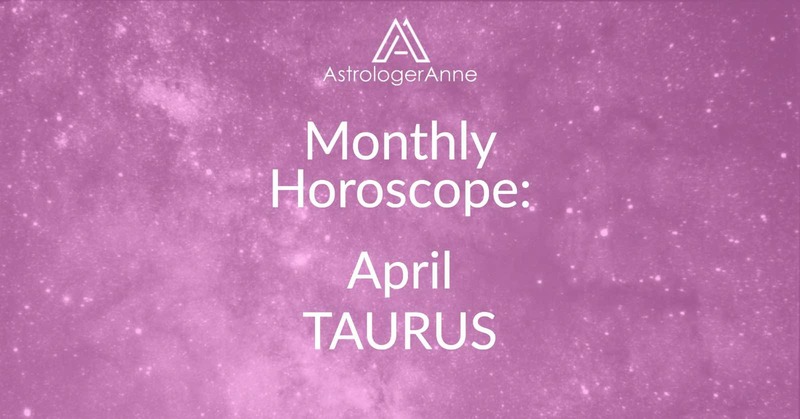 Have a happy April, Taurus! I wish you a wonderful month!